Give me 24 hours, and I'll show you a cobblestone city square straight out of a fairy tale, along with Europe's trendiest shops, world-class dining, hidden gardens, and a stunning cathedral filled with some of Europe's most notable Rennaissance art. All this, packaged nicely into one location; the metropolis of Antwerp. Exploring it early in the morning, just after the sunrise, you'll see Antwerp unveiled slowly and deliberately, like an artist revealing a great masterpiece. Indeed it is a masterpiece, one that's taken many years to complete, and is still busily evolving into one of Europe's dearest destinations. 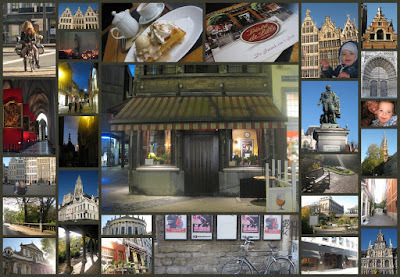 Shop on Meir, dine at Flamant (where you can also shop and stay), wander through the Grote Markt, attend a service at the cathedral of Our Lady, take a horse-drawn carriage through the narrow cobblestone streets, eat a Belgian waffle at Désiré de Lille... See, Taste, and Feel Antwerp in all its grandeur. Most importantly, get lost. Let yourself wander. Allow enough time to satiate your curiosity as you constantly consider what treasures lie behind the next corner. If you love Europe, you'll feel like a kid in a candy shop. I know I did. Oh...Elise, thank you for sharing this lovely Antwerp masterpiece and your great get-away time with sweet little Alexander. 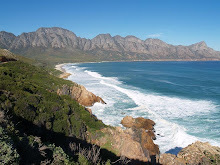 what a great travel blog! I'll be checking back often to see what's next!